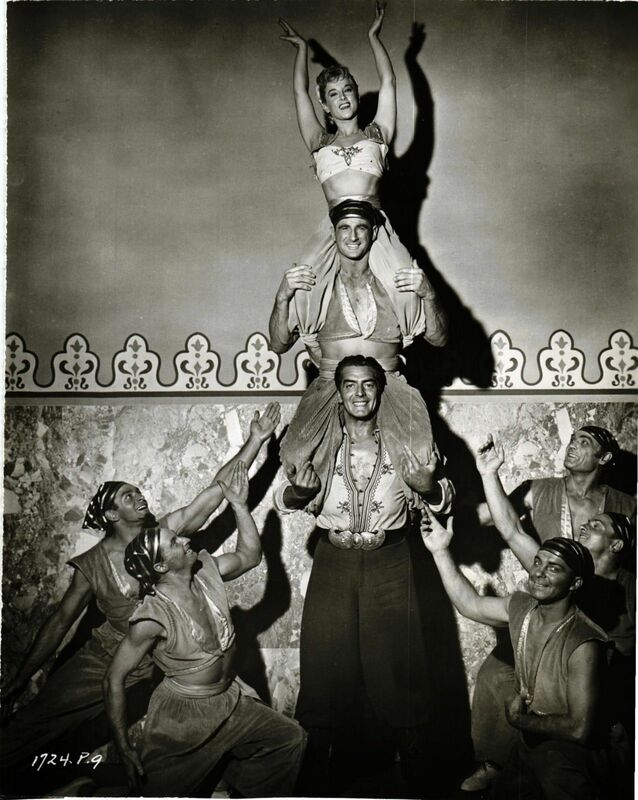 The photo says: Victor Mature proves he rates the gorgeous hunk of man title by expertly performing between scenes of Universal-International's Technicolor "Veils of Bagdad" with the sensational acrobatic troupe, Russ Saunders Tumblers. Vic stars in the action packed adventure drama with Mari Blanchard. Cool photo!